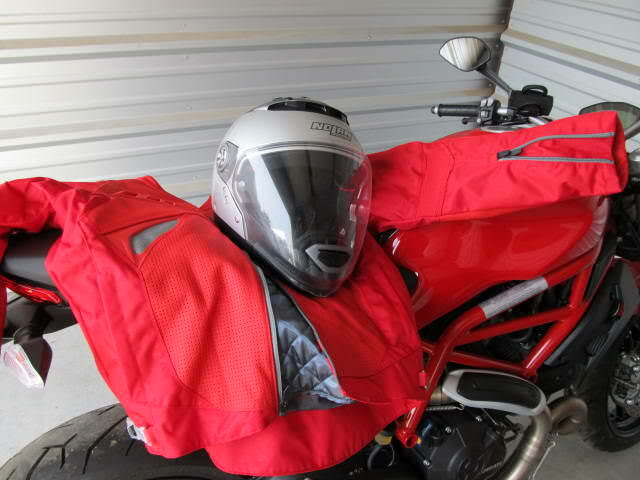 (10-05-2018, 10:45 AM)zipper Wrote: Well, it arrived, zero rear brake. (10-02-2018, 12:48 PM)bennett Wrote: Please don't ever wear a helmet! Are you on the waiting list for an organ or something? I recognize Touring Sport. I did some business with them a couple years ago. Service on a BMW I had at the time.They seemed competent back then. I would expect part of predelivery would include a check that the brakes work, especially if the bike is notorious for air in the system. (10-12-2018, 03:12 PM)barbe-rouge Wrote: I recognize Touring Sport. I did some business with them a couple years ago. Service on a BMW I had at the time.They seemed competent back then. I would expect part of predelivery would include a check that the brakes work, especially if the bike is notorious for air in the system. Good luck on the maiden voyage and with the bike in general. I've got several Triumphs including 2 oldies (68 and 71 500s). Way too much fun for folks of our age! Barely enough to get the bike warmed up... fun ? Sweet ride. 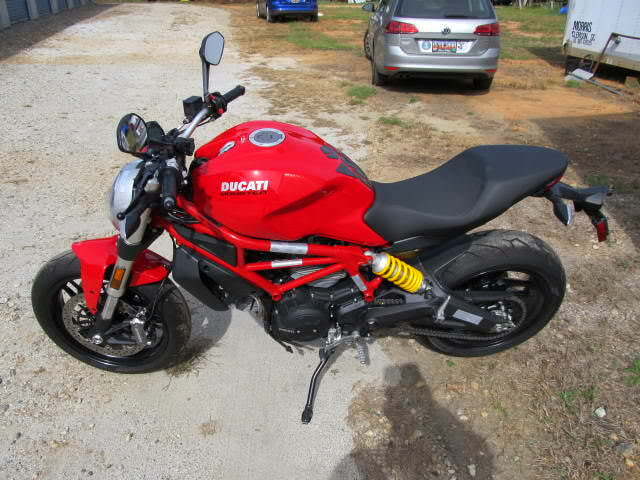 I hope to own a motorcycle one day. Looks so appealing. 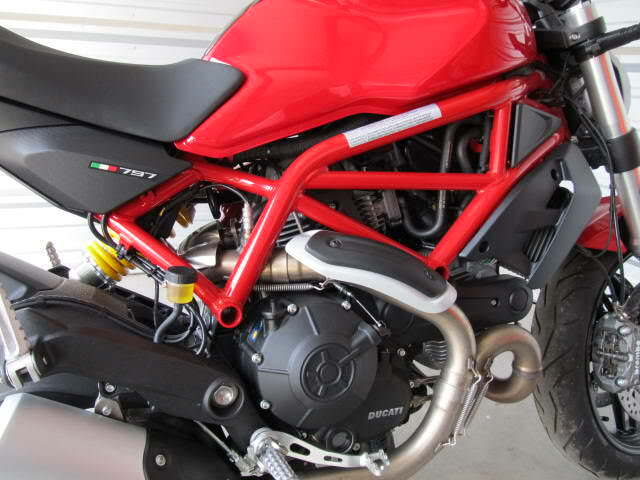 Got to get foam grips, that engine vibrates like a BIG jar of angry Hornets. Can't do over 60 MPH during "break in" Which is 600 miles. Ron...can you post more pics? I want to check the speed devil out! 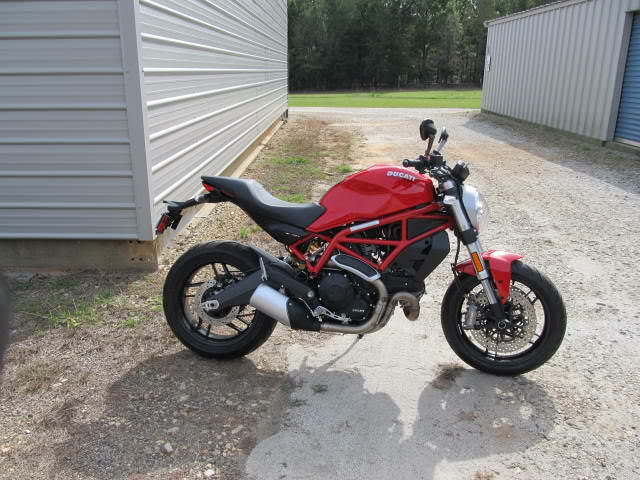 Sorry for the delay Matt, I keep the bike in a storage locker and haven't been out there with the camera until today. IICON riding jacket w/armor and NOLAN helmet. Sweet! I have a Nolan as well! A couple weeks ago I added a new helmet, the Reevu. It has a built in rear view mirror ! Really cool. Works great. Like I've said b/4 "When I get bored...….."
It has a periscope in the brow of the helmet. Just shift your vision slightly up and you see behind you. 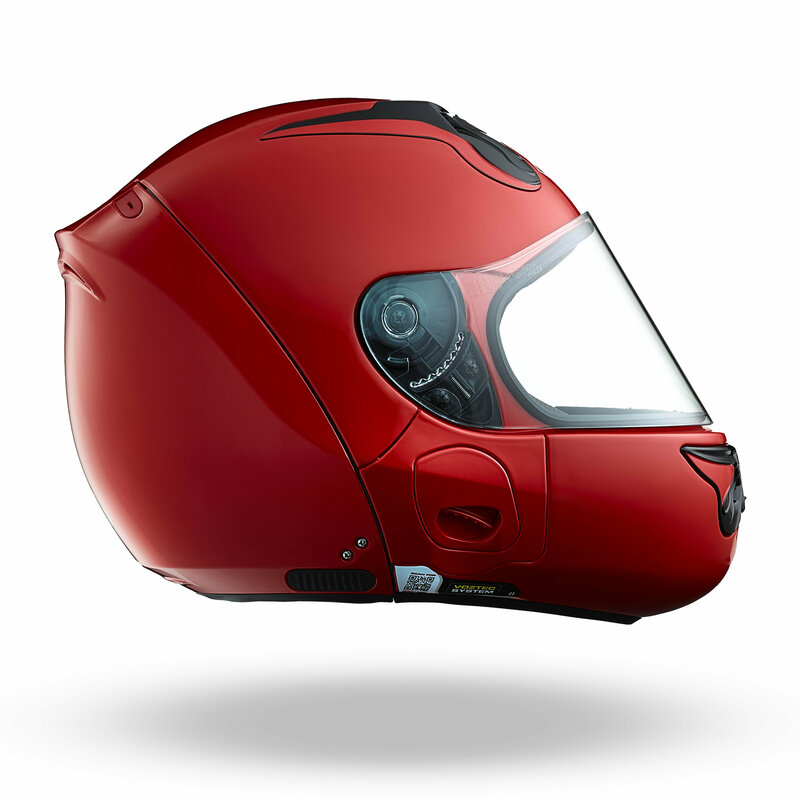 I ordered another helmet last night, a Vozz, kind of a "radical" Australian design. in the front and close the rear down. (11-23-2018, 06:03 AM)zipper Wrote: A couple weeks ago I added a new helmet, the Reevu. It has a built in rear view mirror ! Really cool. Works great. Like I've said b/4 "When I get bored...….."
OK, I don’t know why I even started looking at this thread — don’t know beans about motorcycles or motorcycle helmets. But since I did read the whole thing, maybe you could entertain a couple of questions. 1. How good is the visual on the rearview helmet? I ask because I have tried rearview mirrors on bicycle helmets and find the image so small (and jiggly) as to be useless. So if this Reevu technology works, am hoping it will trickle down to cycling helmets. 2. On the Austrlalian helmet, what is the advantage to putting your head in the front half and closing the rear? Not being flippant here — just trying to understand why this design is appealing. The helmet certainly *looks* awesome but assuming there is something functional here. Congrats on the new bike and helmets — and hope you enjoy many happy, safe rides! traveling down the road at 60+ MPH, it's verrrrry hard to see behind you, so every little bit helps. 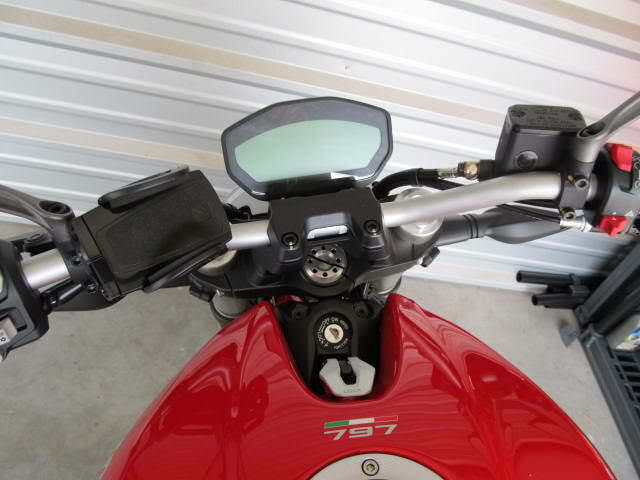 Side mirrors, give me a good view of my elbows. 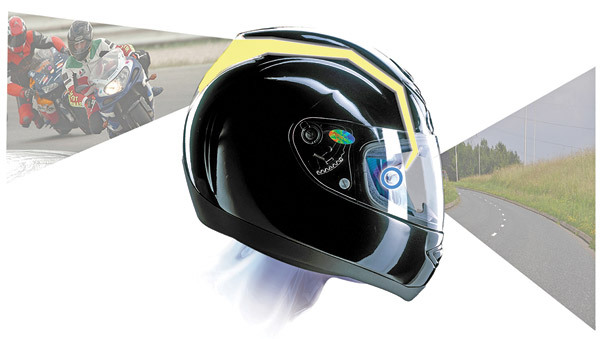 difficulty removing your helmet without causing additional injuries. So, the Vozz opens up, like an oyster.....and my head is in the open like a pearl. Very good answers — many thanks! Mirror: Doesn’t it seem strange that we can send a man to the moon and beyond, but no one has solved the problem of a good, inexpensive rear view mirror for motorcycles and bicycles? Zipper, nice comments to Patti's questions. I don't ride motorcycles but I used to ride 2 wheeled dirt bikes when I was a kid into my teens. I have been toying with the idea of getting a bike since there is so much congestion in Los Angeles and it is getting worse.